Video streaming is very popular. Advances in computer networking over the past couple decades, combined with powerful home computers and modern operating systems, have made streaming media practical and affordable for ordinary consumers. And as the demand for video streaming grows, so does the number of best streaming software options to service that demand. and sometimes a content delivery network (CDN) to distribute and deliver the content (to improve your user’s experience in terms of speed). Streaming software is a broadcasting solution that makes the live streaming process easier by integrating the capture, encode and publish steps into a single application, letting users stream their source video content to a variety of platforms, like YouTube or Twitch. Consumers and businesses alike are using streaming software solutions with their source content to live stream their content to inform, persuade, entertain, or simply communicate with their audience. But how many different streaming tools are out there? As it turns out – a whole lot. And what’s more is that all of them work with Epiphan’s video grabber products. While this isn’t meant to be a review post, I’d simply like to outline a few of the many ways you can stream with ease from your computer using the best streaming software available today. OBS is a free software for recording and live streaming that is an excellent choice for beginners looking to get their feet wet in live streaming. It is also an open source program, which means that the program’s source code is available for everyone to contribute and improve upon. OBS offers unlimited number of sources and scenes (think layouts with differently sized and positioned content in each) and features live RTMP streaming to Twitch, YouTube, DailyMotion, Hitbox and more. OBS is also a popular choice for basic live streaming gaming content with its GPU-based game capture for high performance game streaming. So get a video grabber, such as AV.io 4K, and connect to your computer running OBS for a simple and easy-to-use home streaming setup. 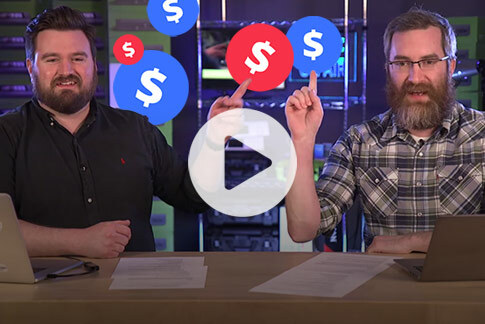 Check out our helpful “How to” for a step-by-step guide of how to set up a live stream via OBS. VMix is a live streaming software solution with an emphasis on live production. The free version of this software offers basic streaming and recording of only a few inputs at non-HD resolutions. Each successive payment package offers increasingly higher resolutions all the way up to 4K, with unlimited inputs. Similar to Epiphan’s “all-in-one” live production mixer, Pearl-2, VMix lets you add video effect to inputs and combine them together in different overlay channels to create efficient live stream productions that don’t inflict excessive stress on your computer’s processor. Wirecast lets you produce professional-quality live productions and encoding of live streams for simultaneous broadcast to multiple servers and platforms. The Pro version offers added input sources, such as IP Cameras and Web streams (RTMP, MMS, HTTP) and additional pro-level features, such as Live scoreboards, replay, virtual sets, and advanced audio controls. 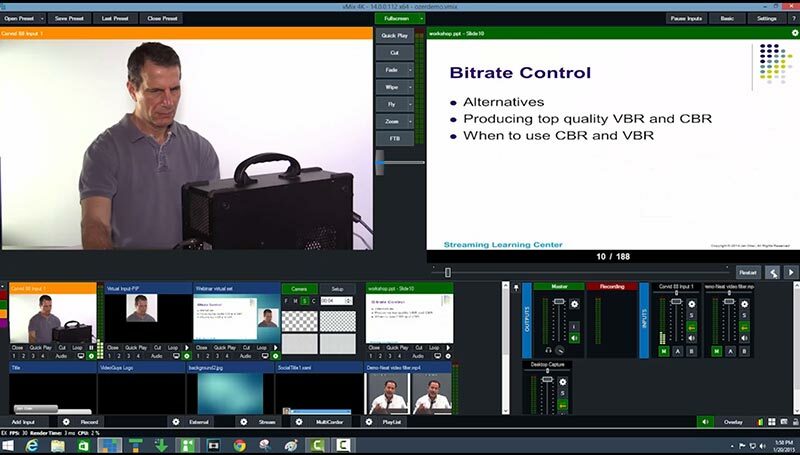 Wirecast even works with multiple Epiphan AV.io 4K video grabbers at the same time, making Epiphan’s AV.io 4K and Wirecast the perfect home multicamera live streaming package. XSplit Broadcaster allows users to create professional quality live broadcasts and video recordings using a simple and intuitive interface. 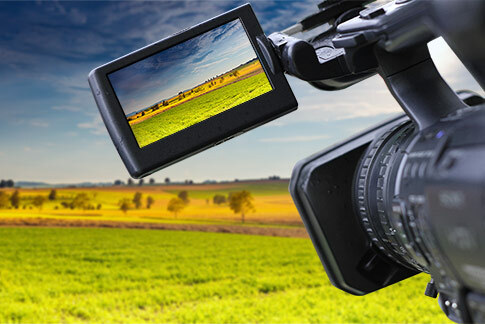 The free version comes with HD broadcasting and some basic production tools and audio support, while the Personal and Premium versions offer superior audio codec support Full HD broadcasting, and enhanced production tools. If gaming is your focus, then give XSplit Gamecaster a look – it offers gaming-specific live production features, such as in-game production control, image overlays, in-game annotations, social features, and more. And speaking of gaming, check out our live streaming video gaming and eSports case study if you’re interested in seeing how a large gaming live production event works using Epiphan products. 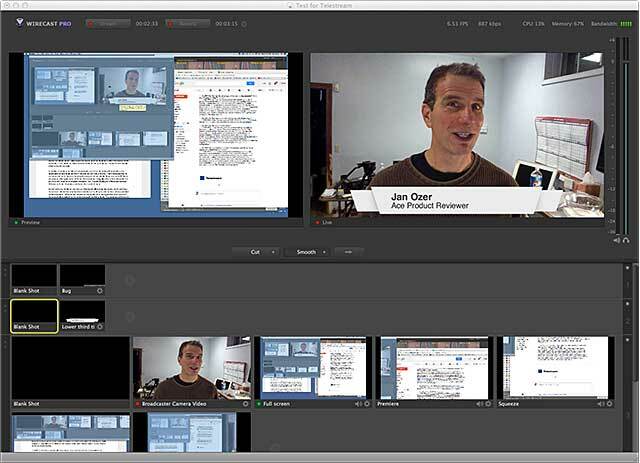 VIDBlaster is a flexible live production tool (similar to our live production mixer, Pearl-2) that is geared to those running “bigger” shows with multiple cameras, guests via video conferencing, screen captures etc. 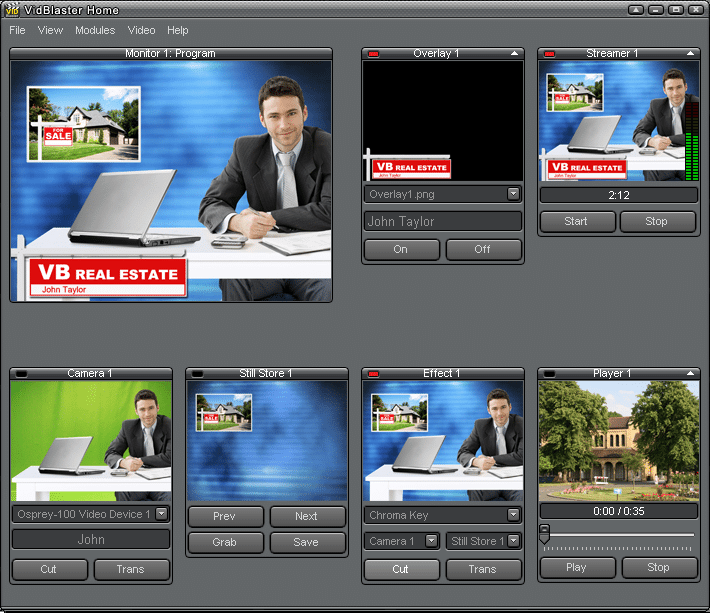 VIDBlaster comes in several editions: Home, Pro, Studio and Broadcast, with each successive edition containing additional live broadcast features, such as 50/60 fps frame rates, video switching and ISO recording. I could go on. Really, I could. While there might not be exactly 99 live streaming software solutions available, there certainly are a lot of them. And matching the popularity and subsequent demand for these solutions comes a steady flow of new software well into the future. So pick form this list of best streaming software, grab an Epiphan video capture device and get streaming! For more information on using video grabbers and capture cards with the best streaming software outlined above, be sure to check out our Products page to see which grabber best fits your live streaming needs. Or for those who prefer an all-in-one capture, streaming and recording solution with no live streaming software required, I recommend you take a look at Pearl-2. What is the best streaming software in your opinion? Let me know in the comments section below! Jordan Sheldrick is a copywriter and digital marketing strategist at Epiphan Video. I like vMix and OBS using av.io HD caputure device. Works very nice except when I try to record a framerate of 29.97 glitches occur because av.io only can output at 30.000fps not 29.97fps, is this correct? Your specs do say 29.97 is available but like I said I get glitches now and then. Can you try it yourself and confirm? Thanks Tony for your comment. AV.io HD does indeed allow you to output at the frame rate 29.97. There are a number of factors that may be causing the glitches you’re seeing – but the best first step is to make sure you’re using the latest AV.io HD firmware. You can download it from the product downloads page. Our support team will be happy to help you work through it further. Give us a call or write info@epiphan.com. Thanks again! What software above, besides LiveStream, will be compatible with the Decklink PCIe Mini Recorder? In theory, Darin, all software that supports DirectShow or QuickTime should work – that’s how it works for our capture cards. However, if you’re having trouble with your BlackMagic card, I can suggest our AV.io HD or AV.io 4K which are driverless and have a wide range of application support (they make your video source appear to your capture software as a USB camera). It looks like VaughnLiveTv supports RTMP streaming, so you can use any software or hardware encoder that supports RTMP, including our Pearl, Pearl-2, or likely OBS plus one of our video capture cards like AV.io HD. Best of luck!